As with the general machinery trend in agriculture, modern farmres are looking for lager, labour saving, automatic and reliable machinery to increase efficiency. 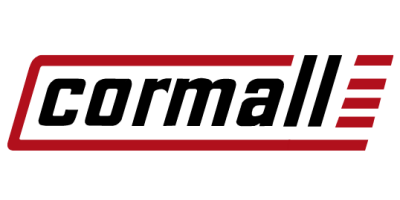 At Cormall we have developed our Mixers along these same guidelines and can now offer a variety of machines from 12 cubic metre up to a huge 50 cubic metre capacity. They can then feed out as often as you decide to give regular feed to the cows. For automatic loading we recommand the Cormall BT 170 loading conveyor. Products by Rovibec Agrisolutions Inc. Meets CE regulations. Directs the robot to loading points (silo, augers, conveyor) and calculates the remaining ingredient quantities in silos. Automatically load the ingredients and adjusts the RTM according to lactation cycle. Distributes the basic TMR ration, grains, supplements, minerals and concentrates on an individual basis for each cow. (Based on chosen program by cow group and/or Park). Feeds cows in both free style and tie stall barns without human intervention. 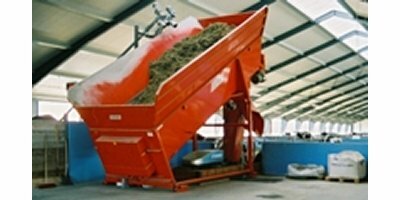 Load and feed silage or tmr made in a stationary mixer. Serves feed per cow, per group of cows (park). Manages up to 8 ingredients independantly : Basic TMR ration, concentrates, grain and minerals. Easy adjustment of fiber length depending your needs. Tub speed and grid adjustable to get prickly fiber of 1 ½ ‘’ to 3‘’ (3,8 to 7,6 cm). Cut bale evenly from beginning to the end. Easy maintenance and blade replacement access. Compatible with most round and squares bales. Designed by Rovibec Agrisolutions, this TMR mixer is ideal for the producer looking for top quality mixer that can adapt from a medium to large size herds. This TMR mixer blade will allow you to prepare best quality recipe for your herd. The MX-C TMR mixer equipped with famous Rovibec designed knifes (secured onto inner tub liner) offers cutting fibre with a sharp and even cut without breaking fibre, while performing homogenous mixing.